It contains: 1 color label - 3 tubes - 1 preset shape - 1 mask - 3 selections - 1 animation. The tubes are by Leny and Sietske. The mask is by Adita's Creations. Thank you so much for your beautiful tubes and mask. Set your foreground color to #213b76. Set your background color to #17181a. Open a transparent image of 800 x 500 pixels. Filters Unlimited 2.0 - &<Background Designers IV> - @Night shadow - default settings. Filters Unlimited 2.0 - &<Background Designers IV> - Refractor - default settings. 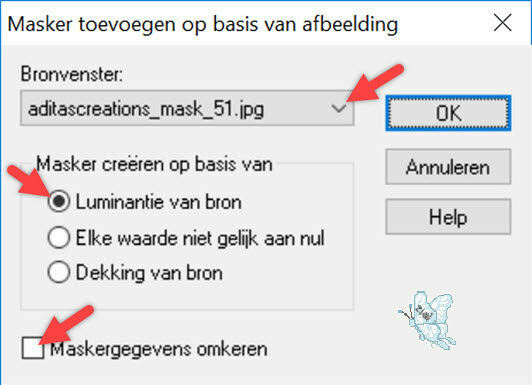 Layers - New mask layer - From image - find mask 'aditascreation_mask51' - same settings as before. Effects - Plugins - AP [Lines] - Lines-SilverLining - Line Options Vertical - default settings. Effects - Plugins - AP [Lines] - Lines-SilverLining - Horizontal - default settings. Vert and Hor 10 - Opacity 65 - Blur 10 - color black. Place the staff on the left side - see main image. Place the group at the bottom of your crea - see main image. 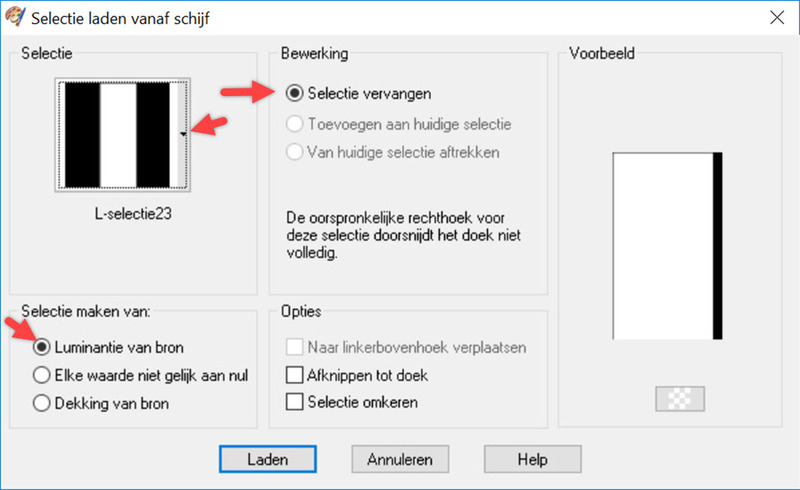 Selections - Load/save selection - Load selection from disk - load selection 'L-selectie24' - same settings as before. Effects - Distortion effects - Wind - Right - 100. Effects - Plugins - AP [Lines] - Lines-SilverLining - Dotty Grid - default settings. 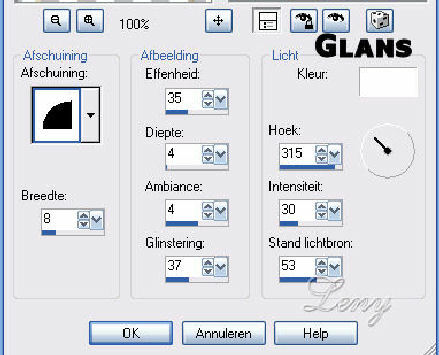 Activate your Preset Shape - find shape 'Serpentine 2' - Anti alias and made as vector checked - Width to 8. Pull it from upper right to lower right - see for yourself how wide you makes it. Place the bag in the square - see main image. Move it a little to the right. Place the text right below - see main image. Vert and Hor 2 - Opacity 100 - Blur 1 - color black. Vert and Hor 0 - Opacity 100 - Blur 99 (is no mistake :-)) - color black. Image - Add borders - Symmetric - 4 pixels - foreground color. Effects - Plugins - Filters Unlimited 2.0 - &<Background Designers IV> - Night Shadow - default settings. Save your crea as a psp file or as a animation shop file. Open your just save crea in AS. Click in frame 1 - Click Ctrl+C - click now 1x Ctrl+L. Place the Sint right below, just above the text - see main image. 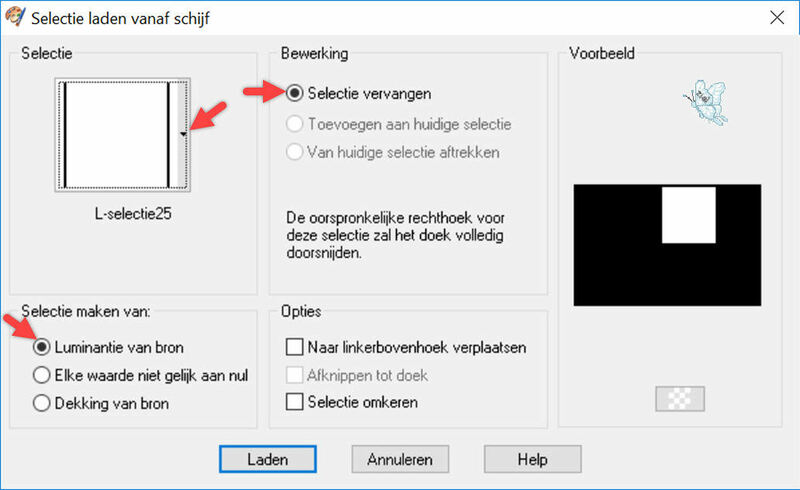 If you are satisfied, save your crea as a gif or mng file and you're done!